We’ve grown tired of WOW and we were looking for something new to play online (or myself at least, I’ll get the rest of the team there someday) and I stumbled onto a Guild Wars 2 article. The first thing I do when I encounter a new game is have a look at the cinematic trailer and screenshots of the gameplay. I eventually found them on Youtube and realised they had a bunch of cinematic trailers for each race and the story arc itself, but with a different flare than the normal cinematic trailer. 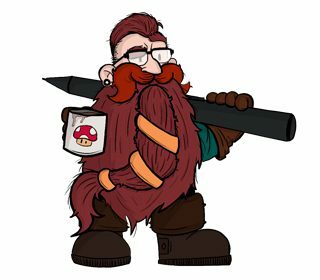 I’ve read a lot of comments citing that the cinematics were the work of lazy designers, but I actually applaud the idea of the companies (ArenaNet and NCSOFT) trying something new. The Guild Wars 2 Cinematic trailers meld well with the overall game design and we really enjoyed the creative flair evident in all of them. If you enjoy game art then have a browse at their other designs (like the one above or this map). We enjoyed the cinematics so much that we’re going to share all of the races ( asura, charr, human, norn and sylvari) trailers. Which cinematic trailer did you enjoy the most? 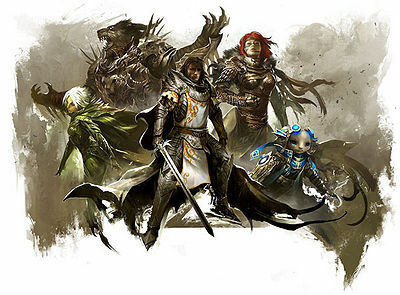 Want to know more about Guild Wars 2? Then watch this video.